About a month ago we’ve given you some ZeusHash coupon codes to test the previous cloud service with cheaper hashrate. Since then however ZeusMiner has launched their new ZeusHash cloud mining service that does not accept discount codes anymore. 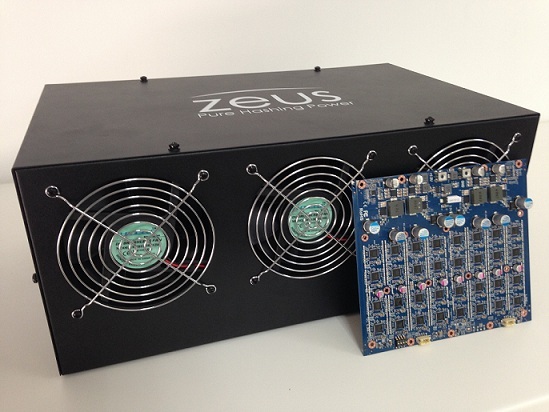 However since we do have some more discount codes for ZeusMiner we are giving them to you and you can use them to pre-order the upgrade boards for ZeusMiner Scrypt ASICs that are scheduled to start shipping in December for a better price. Of course you can also use the discount codes to purchase some of the miners that are currently shipping as well as pretty much any other of their products, though you should act wise considering such purchases at the moment even with discounts.